For Dodge | For GM | For Chevy 69-94. For Chevrolet Blazer (All). For Chevrolet Camaro 69-05. For Chevrolet Cavalier 82-94. For Chevrolet Corvette 69-93. For Chevrolet Suburban (All). For GMC Jimmy (All). CrazyLister SeatCoverWorld Specialists in Seat Covers Camouflage Car Seat Covers - Waterproof ---Contains 2 x Front Seat Covers. ---The covers are made from top quality waterproof fabric which have a rubber backing. ---Rest assured - these are not the cheap flimsy waterproof nylon covers. ---Fully waterproof and water resistant. Perfect for maintaining and protecting the condition of your seats. BUY WITH CONFIDENCE ---Payment ---Shipping ---Returns Payment via Paypal. Should you wish to pay by any other method, please contact us. Seat covers are sent via courier companies and will arrive within 3-5 working days. We have a "no quibbles" return policy. If you are unhappy with the purhase in any way, you can return the item for a full refund. JEEP CHEROKEE MK2 (XJ) 1984 - 2001. Motorcycle seat strap cover. Round 5 Speed Gear shift knob for. Looks fantastic and also gives a positive feel when shifting gear. It is threaded. You simply screw it onto your gear shift lever. Very easy to fit. Padded foam design ensures comfortable to hold. Fits tight & snug ensuring cover wont slide around whilst driving. 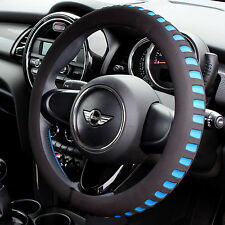 Steering Wheel Cover. Easy fitting simply stretches over your steering wheel. Blue & black. Feature: 1.SUPERIOR QUALITY: Made of high standard quality ABS plastic material resisting impact, crack and deformation with strong toughness and durability. 2.IMPROVE LOOKING: This full set interior decoration covers design in bright green, adding a young and stylish look to make interior be out of ordinary. And it greatly protects the car interior trim from scratch and dirt. 3.EASY INSTALLATION: Attached with 3m tape for direct and quick installation and removal with great convenience. 4.FITMENT: Great fits for 2015 2016 2017 2018 Jeep Renegade..
10pcs Carbon Fiber Air Vortex Generator Adhesive Fin Set/Kit Spoiler Trunk Wing. Custom designed to fit your Jeep Renegade. Stylish T6061 Billet Aluminum Car Vehicle Bullet Ammo Short Antenna Universal. Manufactured in aluminium, these sill plates are a subtle reminder that you are in a vehicle unlike any other. Fits all Jeep Wrangler models from 2007 onward. ' Why buy fake when you can buy the real thing '. UNIVERSAL FITTING WITH VELCRO FASTENING. GREAT GIFT FOR YOU OR ANY JEEP OWNERS. HERE WE HAVE TWO QUALITY SEAT BELT PADS MADE IN. THE PERFECT FINISHING TOUCH TO YOUR CAR INTERIOR. GIVES YOU EXTRA COMFORT AND ADDS. THIS COVER WILL FIT JEEP WRANGLER TJ MK2 FROM 1997 - 2006. JEEP WRANGLER MK2 TJ 1997-2006. VERY HIGH QUALITY CUSTOM MADE FITS PERFECT LIKE A GLOVE HANDCRAFTED WITH TOP GRAIN LEATHER. Motorcycle seat strap cover. JEEP CHEROKEE KJ 2001-2007. JEEP CHEROKEE [ KJ ]. Motorcycle seat strap cover. VERY HIGH QUALITY CUSTOM MADE FITS PERFECT LIKE A GLOVE HANDCRAFTED WITH TOP GRAIN LEATHER. 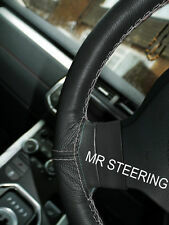 Steering Wheel Covers for Vans, Trucks, Classic Cars. Jeep Grand Cherokee mk3 facelift front. Drivers or passengers seat base. Jeep Wrangler Front & Rear GTB Sports Seats. 2 x front and 2 x rear GTB Sports Seats in quilted and perforated leather, with optional contrast stitching in a choice of colours. Seat fillets available in leather, Alcantara or Harris Tweed and in a choice of colour options. GM Chevy steering wheel adapter Boss Kit 3 bolt Billet Aluminum Polished. All our products are made in China using top quality 6061-T6 aluminum with a mirror polished or black anodized finish. These products are compatible with Classic, Hot Rod, and Performance GM and Ford vehicles. Part Number - 82214268. Renegade 2014-. Genuine Jeep Aluminium Sports Pedal Cover Kit. We're rated 5/5 for service! We're here to help whenever you need us. New arrivals. Dedicated Support. RHD Manual. THIS COVER WILL FIT JEEP GRAND CHEROKEE MK1 ZJ 1993-1998. RANGE ROVER. VERY HIGH QUALITY CUSTOM MADE FITS PERFECT LIKE A GLOVE HANDCRAFTED WITH TOP GRAIN LEATHER. Motorcycle seat strap cover. 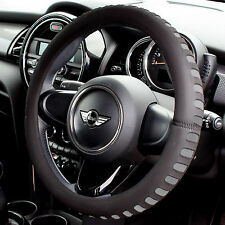 Steering Wheel Covers for Vans, Trucks, Classic Cars. SeatCoverWorld Specialists in Seat Covers Heavy Duty Leatherette Seat Covers - 2 x Fronts ---Contains 2 x Front Seat Covers ---Made from hard wearing synthetic leather to protect your seat. ? ---Made from hard wearing commercial grade synthetic leather. ---Rest assured - these arenotthe cheap flimsy Chinese covers. These covers are manufactured in UK ---If you would like an airbag provisions or armrest openings, please leave us an ebay/paypal message at time of purchase. ---12 month warranty on any manufacturing defects. Protect Your Van Seats against Water, Mud, Oil, Paint, Grease, Children Spills, Food, Drink, Suntan lotion, Smells & muddy Paws Perfect for maintaining and protecting the condition of your seats. BUY WITH CONFIDENCE ---Payment ---Shipping ---Returns Payment via Paypal. THIS COVER WILL FIT JEEP GRAND CHEROKEE MK2 WJ FROM 1999 - 2005. JEEP GRAND CHEROKEE MK2 WJ 1999 - 2005. RANGE ROVER. VERY HIGH QUALITY CUSTOM MADE FITS PERFECT LIKE A GLOVE HANDCRAFTED WITH TOP GRAIN LEATHER. 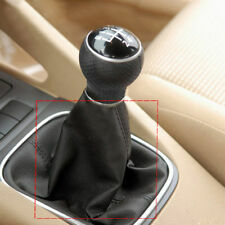 This Gear Stick knob is constructed of durable aluminium for long life. It features the shift pattern etched directly into the shift knob. 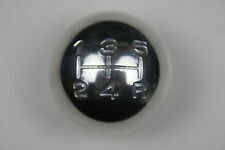 KNOB AL 5-SPD 3/8-16. 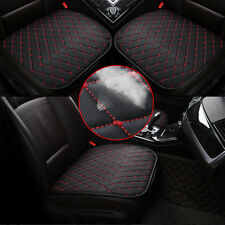 X2 4 WD RED Carbon Fibre Effect Seat Belt Pads Covers for 4x4 Vehicles. 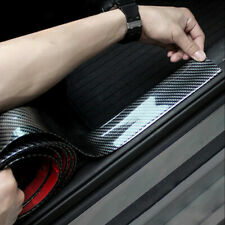 You will receive x2 4 WD Carbon StyleFibre Padded Seat Belt Cover as pictured. Width 6.5cm. Our site is spread over 5 acres consisting of a reception area, two large storage buildings, de-pollutions bay, vehicle racking facility, in house crushing/bailing zone. AB31-38, AB40-56, IV1-28, IV30-32, IV36-49, IV51-56, IV63, JE, KA27-28, KW1-17, PA20-38, PA41-49, PA60-78, PH4-44, PH49-50, HS, ZE, Isle of Man. 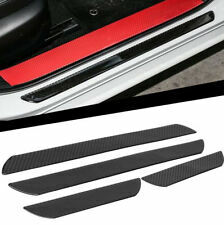 These are a set of 2 front door sill protectors to fit the Jeep Renegade. New and Genuine Jeep Accessory. Jeep Ref Number K82214263. We are a main dealer for our franchised vehicles. THIS COVER WILL FIT JEEP WRANGLER YJ FROM 1987 - 1995. JEEP WRANGLER YJ 1987 - 1995. RANGE ROVER. VERY HIGH QUALITY CUSTOM MADE FITS PERFECT LIKE A GLOVE HANDCRAFTED WITH TOP GRAIN LEATHER. Select your colour of the leather and stitching colour. Manufacturer's Part Number: C274. Lockwood car dials, speedos & gauges have an international reputation for style and quality. Lockwood Dial Conversion Kits (Km/H to MPH / MPH to Km/h). Application: Jeep Patriot. MK2, MK3, SJ, YJ, KJ, XJ, XK, ZJ. LEATHER COLOURING DYE. High quality colouring varnish/dye having high seizing power. Ensure leather is fully clean before any colouring works has taken place, this will open the leather pores and help the leather dye adhere to it;. Part Number: K82214268. Genuine Jeep Renegade (2014>) Aluminium Pedal Kit for vehicles with manual transmission. NEW Genuine Jeep Parts from Jeep Main dealer. SG Petch, Jockey Lane, Monks Cross, York, YO32 9LG. THIS COVER WILL FIT JEEP WRANGLER TJ MK2 FROM 1997 - 2006. JEEP WRANGLER MK2 TJ 1997-2006. Motorcycle seat strap cover. VERY HIGH QUALITY CUSTOM MADE FITS PERFECT LIKE A GLOVE HANDCRAFTED WITH TOP GRAIN LEATHER. Looks fantastic and also gives a positive feel when shifting gear. Not suitable for lift up reverse type of gear sticks. It is threaded. So you simply screw it onto your manual gear stick. Very easy to fit. THIS COVER WILL FIT JEEP WRANGLER YJ FROM 1987 - 1995. JEEP WRANGLER YJ 1987 - 1995. Motorcycle seat strap cover. RANGE ROVER. VERY HIGH QUALITY CUSTOM MADE FITS PERFECT LIKE A GLOVE HANDCRAFTED WITH TOP GRAIN LEATHER. INTERIOR DOOR PULL KIT, GREY; 87-95 JEEP WRANGLER YJ. For 82-95 Jeep® CJ-7, CJ-8 Scrambler & Wrangler YJ. This black interior door pull kit from Omix-ADA fits 87-95 Wrangler and 82-86 CJ. Fits full or half doors. SeatCoverWorld Specialists in Seat Covers GREY Camouflage Car Seat Covers - 2 x Fronts ---Contains 2 x Front Seat Covers ---The covers are made from BREATHABLE waterproof fabric. ---Rest assured - these arenotthe cheap flimsy waterproof nylon covers. ---Fully Waterproof and water resistant ---If you would like airbag or armrest provisions, please leave us an ebay or paypal message at time of purchase. Perfect for maintaining and protecting the condition of your seats. BUY WITH CONFIDENCE ---Payment ---Shipping ---Returns Payment via Paypal. Should you wish to pay by any other method, please contact us. Seat covers are sent via courier companies and will arrive within 3-5 working days. We have a "no quibbles" return policy. If you are unhappy with the purhase in any way, you can return the item for a full refund. This black roll bar cover kit from Rugged Ridge fits 78-86 Jeep CJ and 87-91 Jeep Wrangler YJ. ROLL BAR COVER KIT, FULL; 78-91 JEEP CJ/WRANGLER YJ BLACK. Jeep Wrangler (YJ). 1991 Jeep Wrangler (YJ). 1990 Jeep Wrangler (YJ). Part Number - 82212055. Genuine Jeep Stainless Steel Pedal Covers. Grand Cherokee 2011- Onwards. New arrivals. You won't find cheaper prices anywhere! High quality products at amazing prices. We're here to help whenever you need us.